Austin McGill has one goal: to satisfy the conditions of his estranged father's will. After living on Starfire Ranch for three months, he'll sell the property and leave East Tennessee and its heartbreaking memories...forever. At least, that's his plan until Samantha Lakin comes along. 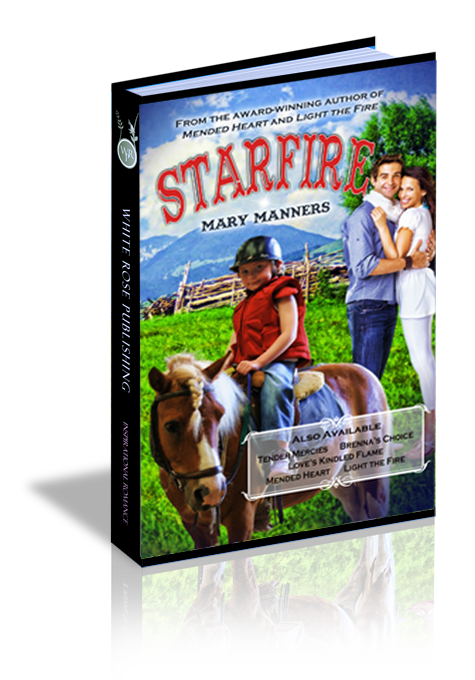 Samantha Lakin has one goal: to save Starfire and its summer camp for special-needs kids like her foster daughter, Jenny. To succeed, Sam will have to soften Austin's stone-cold heart. Not an easy task, especially when she realizes the ranch isn't the only thing that needs saving. Can Sam's devotion and the love of a little girl teach Austin to let go of the past and to trust God for the future...before the ranch and any chance at a happily-ever-after are lost? Why do you think Austin's father made staying three months at Starfire Ranch a stipulation of his will? Q2. How do you think the story might have been different if Austin had made it home to see his father before his father died? Q3. What impact did John McGill's faith and encouragement have on Sam? Q4. What do you think was the turning point for the change in Austin's heart. Why? Q5. What does the future hold for Sam, Austin, and Jenny?